News reporting is the main joy in Norma Hill's life. She is hell-bent on being more than a weather reporter, but new tyrant boss, Henry Chapel, doesn't agree. While she is following a news lead, Henry saves her from a handsy heir. His words warn her of danger, but his actions stir deeper emotions. Despite his gruff words, can she find the love forever absent from her life? Pompous and determined, Henry Chapel revives sagging rags and brings them to their former glory. 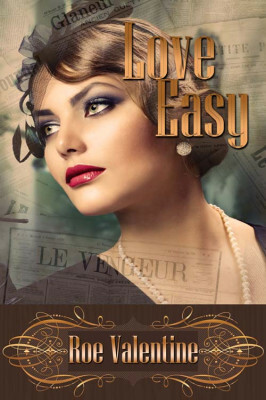 When Lawson Publishing begs Henry to take over the Chicago Daily News, he is more than happy to comply; after all, it had been his favorite newspaper as a child. What he didn't anticipate was a fiery sass-mouthed weather reporter to contend with. He also didn't anticipate finding what he'd been looking for his whole life in the press room. A loud crash startled him from his nostalgic reverie. The hefty door to his office swung with the full force of a motorcar barreling down Michigan Avenue, one with an ossified driver behind the wheel, no doubt. The metal knob crashed into the plaster, leaving behind a round imprint. Behind the ruckus was a tiny brunette standing in the doorway with defiance in her eyes. The little dame slammed the door shut and stood in front of his desk with her tiny palms planted firmly on her hips—her sweet tiny hips. Her face was beet red, masking her beauty. Exotic amber eyes twitched, and her loose raven curls swayed around her face with every head movement. He remained near the window, compressing his initial need to blow his top. His blood boiled with her blatant reproach. He’d never seen any female employee react that way. Mostly, he’d seen female employees pout and shed tears. This female did neither, and it stimulated him in a way he didn’t expect. He narrowed his eyes. Sure, he remembered her. If he wasn’t mistaken, she’d stood with her arms crossed and a sneer on her lips during his introduction speech. He studied her lips, her very kissable lips. His mind rattled with aversion and intrigue. He should’ve known then she’d be trouble.